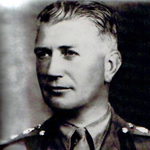 Brigadier Edward Davis, O.B.E. was appointed C.B. E. (Military Division) in recognition of gallant and distinguished service in Afghanistan during the period 1st April 2011 to 30th September 2011 . 28 November 2011 promoted Major General . 14 June 2014 appointed C.B. (Military Division) . 1 July 2014 promoted Lieutenant General . London Gazette Supp. 60095, page 5847. 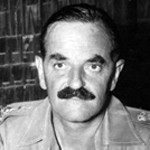 Officer Commanding No 4 Commando from 1943 until 1945. 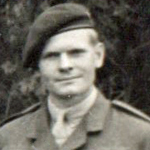 Lt. Robert Dawson was one of the first subalterns to join No 4 Commando in 1940, later taking part in the Dieppe raid as Captain of 'C' troop. 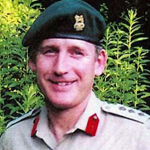 The following year he was promoted Major and 2 i/c No 4 Commando when the then 2i/c, Major Derek Mills-Roberts, left to take over as OC No 6 Commando. 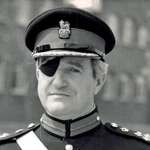 Brigadier David Hook was appointed C.B.E. (Military Division) in recognition of gallant and distinguished services in Afghanistan during the period 1st April 2009 to 30th September 2009. In 2013 Major General Hook, C.B.E., received the Queen's Commendation for Valuable Service in recognition of gallant and distinguished services in Afghanistan during the period 1 October 2012 to 31 March 2013. 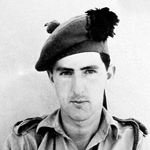 Major Bevil Charles Alan Napier was attached to the Commandos from the Gordon Highlanders. Michael Stilwell was commissioned into the Cheshire Regiment on the 22nd Sept. 1940. 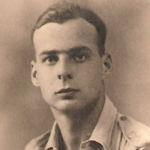 On the 20th August 1943 he was promoted Lieutenant, serving with the Coldstream Guards before volunteering for the Commandos and being posted to No 2 Commando. He was later promoted war substantive Captain. 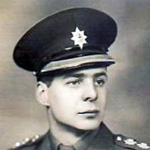 Captain Stilwell was awarded the MC for his gallantry during operations at Spilje, Albania (Operation Healing 11). Spilje Albania, July 28/29, 1944. Operation Healing 11. In the book Storm from the Sea the author, Brig. 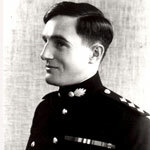 Peter Young, wrote that the award was made post war for those captured at Berneval, Dieppe. There is an additional reference to this in our entry for Gunner Hubert Wadsworth.